Rosatom expects France to join nuclear construction projects in the EU, Egypt and Turkey, Rosatom CEO Alexei Likhachev said. Rosatom has invited its French partners to join the projects in third countries. The company hopes that French equipment suppliers will make their bids for construction of Russian-designed reactors in the EU, Turkey and Egypt. This was announced by Rosatom CEO Alexei Likhachev at a press briefing on the margins of Russian Energy Week 2017. “We have invited French suppliers to take part in all tenders, primarily for the European projects based in Finland and Hungary. We also hope that they will have a chance to become stakeholders in Turkey’s Akkuyu project. As soon as the project in Egypt kicks off, the French engineering and system management companies will also join the bidding process,” said Mr. Likhachev. He also noted that Rosatom does not rule out participation of Asian companies, including those from China, in Hungary’s Paks II project. Speaking about the planned tenders for services and equipment supplies under the Paks II project, Mr. Likhachev stressed that all contracts will be awarded pursuant to the EU standards. “We hope that our European suppliers will be the first [to take part in tenders], but we will also be glad to work with our partners from China and other Asian countries,” said Alexei Likhachev. He added that China’s expertise would be of great use for projects in African countries (for instance, South Africa) if they decide on building a nuclear power plant, or in Latin America. In particular, Rosatom’s Chinese partners could take part in the nuclear island construction. The Paks II construction project is carried out under a framework agreement signed in January 2014 and contracts between MVM Paks II and NIAEP (a Rosatom Group company). Construction of the new reactor units is expected to start in 2018 as the European Commission finally gave its approval on 6 March. Paks NPP has four operating reactor units built by Soviet engineers in 1974–1987 and satisfies over 40% of Hungary’s power demand. Paks is one of the world’s safest and most reliable nuclear plants. The construction of new reactor units at Paks with Russia’s input is strongly supported by a majority of Hungarians. On 19 November 2015 in Cairo, Russia and Egypt signed an agreement on the construction of Egypt’s first nuclear station near El Dabaa on the Mediterranean coast and a loan of USD 25 billion. The El Dabaa nuclear power plant will consist of four 1,200 MW reactor units. With its comprehensive product offering, Rosatom will help Egypt create a full-fledged nuclear power industry from scratch and assist in delivering hi-tech projects. 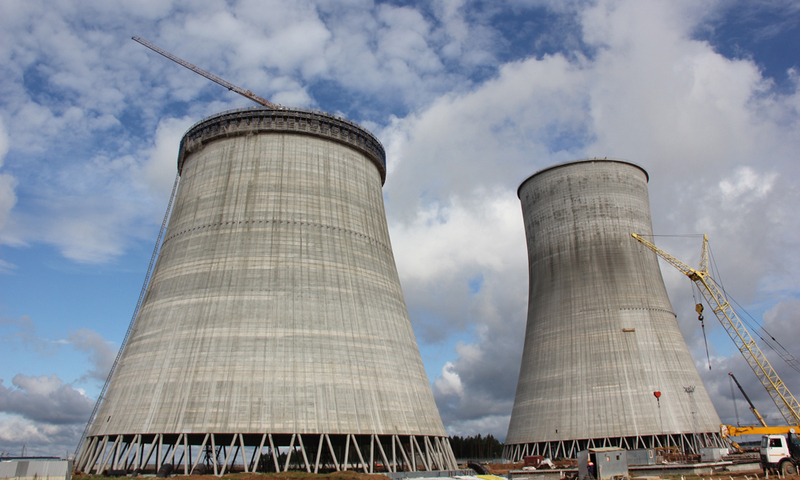 Fennovoima and RAOS Project, subsidiary of Rusatom Energy International, have a plant supply contract for the Hanhikivi-1 nuclear power plant. According to the schedule agreed with Rosatom, Hanhikivi-1 plant will produce electricity in 2024. Hanhikivi-1 is based on VVER-1200, a Generation 3+ nuclear plant design made in line with all European safety requirements and post-Fukushima safety standards.